I have always adored St. Patrick’s Day. It might be that I’m a redhead so little orange-haired leprechauns just make me smile extra big. I’m not quite sure. Regardless, every year after Valentine’s Day I get super excited to start creating new St. Patrick’s Day crafts. 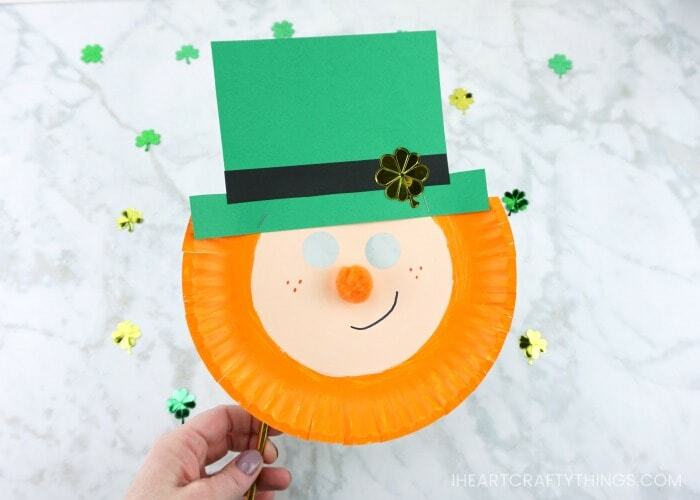 This paper plate leprechaun mask we are sharing today is certain to bring some smiles and giggles to your littles ones this year. 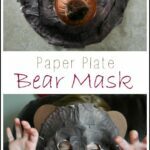 Paper plates are a great material for making preschool crafts. They are inexpensive and easy to keep in stock at home or at school. The circle shape of the paper plate can easily be transformed into pretty much anything. 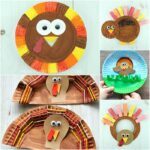 In fact, check out these 20+ ideas for turning paper plates into animals. My favorite thing about crafting with paper plates is how the rim around the plate has a bumpy texture for creating unique crafts like this leprechaun mask. 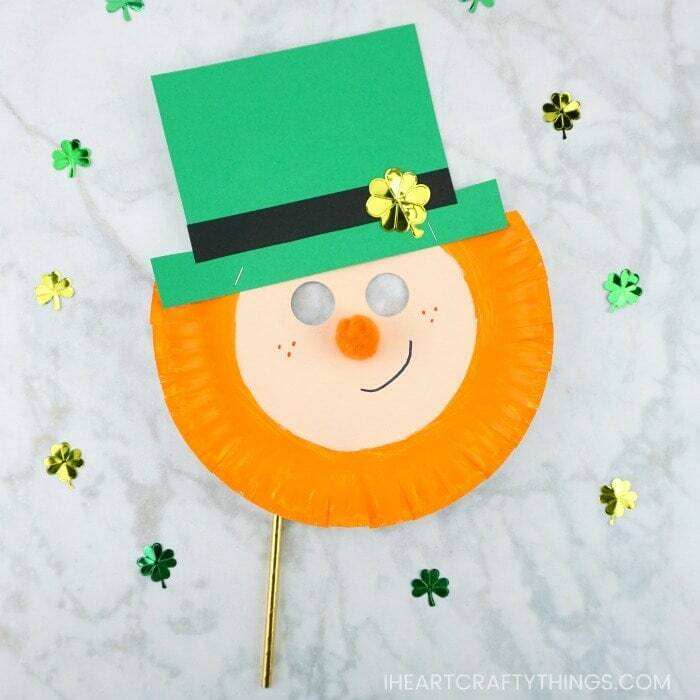 After creating this St. Patrick’s Day craft, kids can put on a silly skit for friends or family with their leprechaun mask, or they can also be used for a fun photo prop for a St. Patrick’s Day party. 1. Grab your white paper plate. Paint the inside circle of the paper plate with peach paint. Then paint the outside rim of the paper plate with orange paint. Let the paint dry completely. 2. When the paint on your paper plate has finished drying, use your scissors to cut the top off your paper plate to create a straight edge. 3. 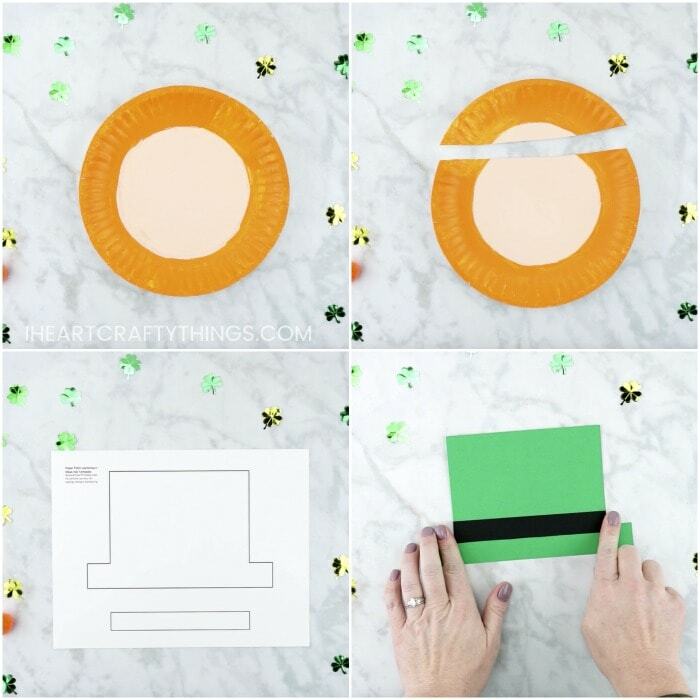 Download and print out the leprechaun hat template on white cardstock paper. Cut out the pieces of the template. 4. Use a pencil to trace the hat piece of the template on green cardstock or construction paper. Then trace the brim of the hat template piece on black cardstock or construction paper. Cut out both of the template pieces you traced. 5. Add glue on the back of the black rectangle and glue it onto the green leprechaun hat. 6. 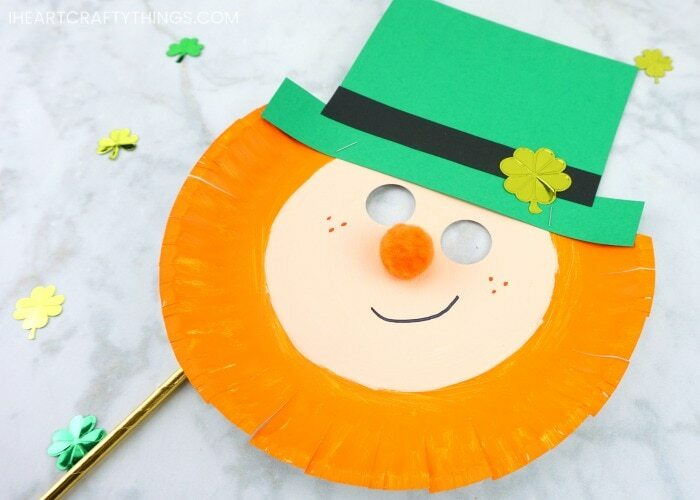 Use your 1-inch circle punch to punch eye holes at the top of your paper plate to create your leprechaun mask. 7. Grab your stapler and staple your leprechaun hat at the top of your paper plate. You could also opt to glue the hat onto the paper plate. 8. 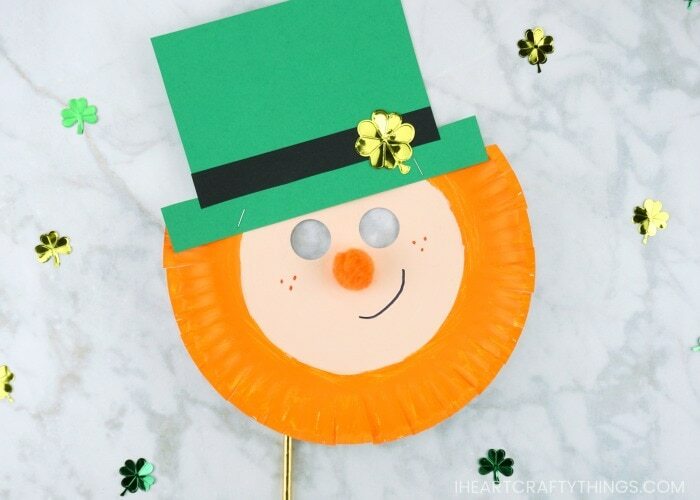 Add a generous amount of glue to an orange pom-pom and glue it on your leprechaun mask for a nose. 9. Draw a smile and freckles on your leprechaun mask with a black and orange marker. We didn’t think of this when we were in the middle of creating our leprechaun mask but it would also be fun to draw eyebrows above the eye holes of the mask. 10. 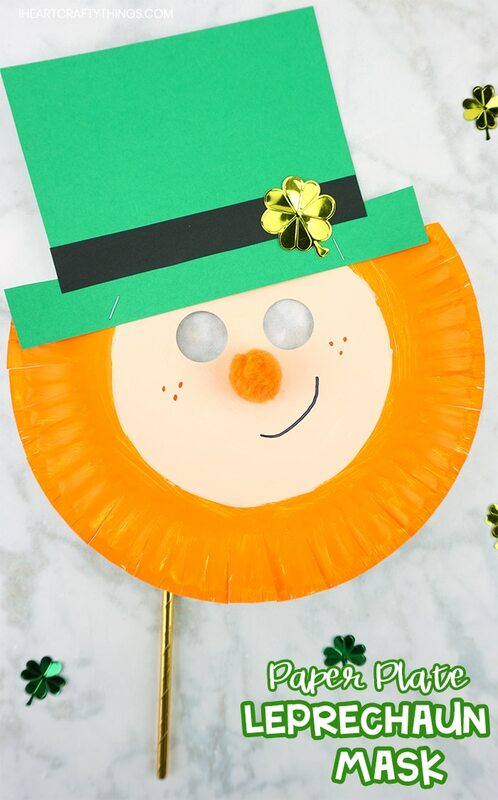 To add some extra texture to your leprechaun beard, cut slits along the rim of the paper plate with scissors. Bend and curl up some of the different sections to add dimension to the beard. 11. Turn your paper plate facing down. Tape the top section of your gold straw onto the side of the paper plate. 12. If you want to make your leprechaun extra festive for St. Patrick’s Day, glue a four-leaf clover sticker or embellishment onto the leprechaun hat. To play with your leprechaun mask, hold the gold paper straw with one hand and place the mask in front of your face, centering the eye holes over your eyes. 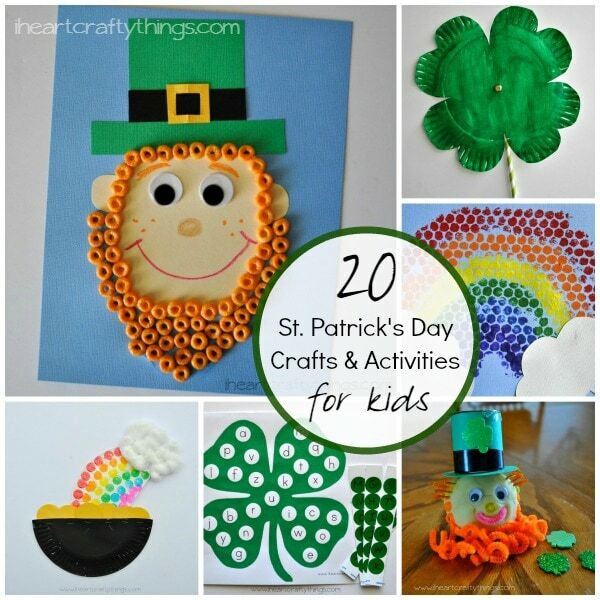 Kids can put on a silly leprechaun skit for friends or family. Or use the masks as a photo prop for a St. Patrick’s Day party at school or home. 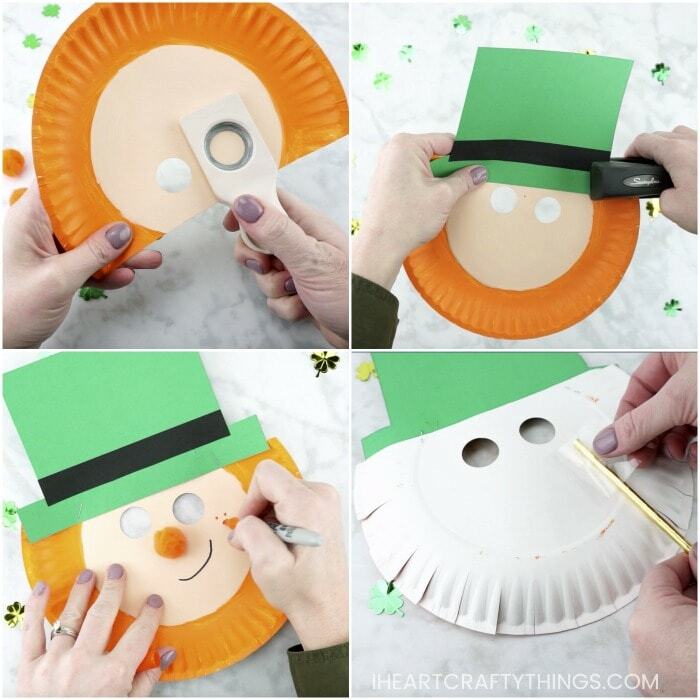 Watch the video below to be guided through each step of our paper plate leprechaun mask craft. Looking for another playful St. Patrick’s Day craft? These little leprechaun finger puppets are another hands on activity kids can enjoy for the lucky holiday. 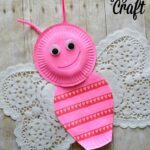 Our free template makes it a simple craft for kids to make on their own. Have some fruity cereal laying around the house? Combine snack time and craft time together by making this cereal leprechaun craft. It’s super silly and so much fun! These Shamrock Twirlers are another fun craft for St. Patrick’s Day made out of paper plates and paper straws. You’ll definitely want to add this one to your craft list for the holiday. St. Patrick’s Day wouldn’t be complete without some rainbow love. Here’s a simple and fun way to create a rainbow card out of washi tape. Give it to someone lucky for St. Patrick’s Day!